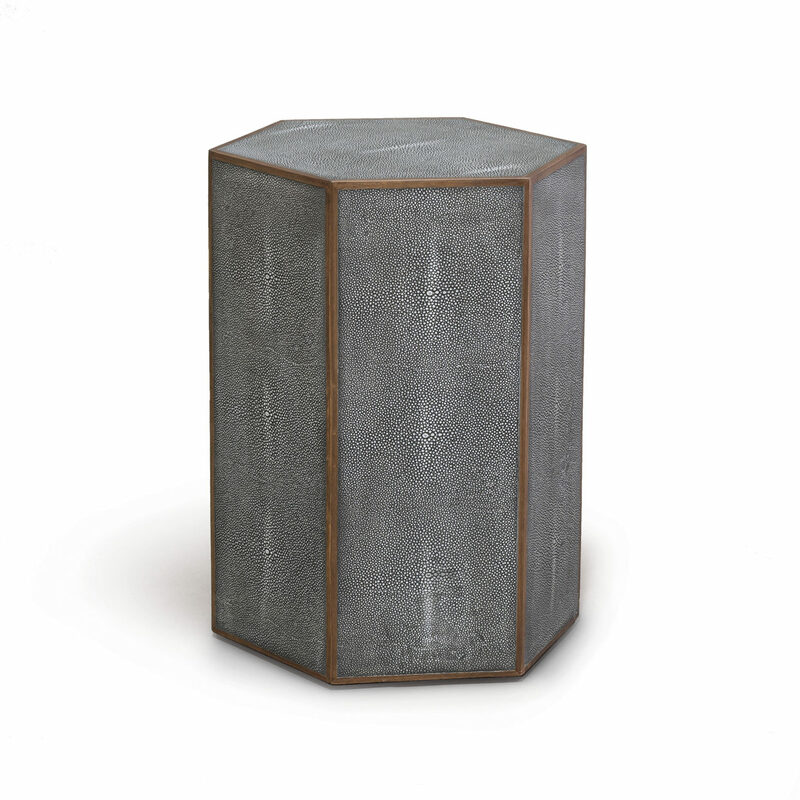 Table features charcoal faux shagreen with walnut veneer trim. There is apolyurethane top coat on faux shagreen. Available only as shown.